LORNA Jane Clarkson is happy. Very happy. Every day. Believe it. Of course, she has cause. The 50-year-old businesswoman is one of Australia's most successful entrepreneurs with an activewear brand that is a revolutionary sensation the world over. Her burgeoning business empire encompasses more than 200 stores, a social community of some one million followers and a string of successful books. An annual profit of more than $100 million doesn't hurt either. But it is clear that for Clarkson, success is measured in happiness, not dollars, and her Active Living philosophy with the Move, Nourish, Believe mantra at its centre is not just how she wants to inspire you to live your life, but how she actually lives hers. Her global success may be a far cry from the little room under her house in Cairns where the former dental therapist first started making workout wear more than two decades ago. But the message is the same - live the best life you can. "It was definitely nerve-racking, leaving the security of dental therapy to pursue my love of health and fitness and taking that leap of faith remains one of the most daunting things I've ever done," says Clarkson. "It was a turning point in my life and what helped me make that decision was my desire to live a life doing what I love. From the very beginning, I wanted to do something with my life that was a true reflection of who I was - I'm the girl that is obsessed with all things health and fitness, I love fashion and I truly believe we can do anything we want in life if we dream big and believe in ourselves." It is that belief that she wants to help instil in the 12.3 million Australians who confess to wanting to lose weight and more especially in the two in three people in this country who are very definitely overweight or obese. It is this drive that led to Active Nation Day, held annually since 2012, a day on which we are encouraged to stop and think about our overall wellness. Participants in this country and around the world make a pledge, a promise to live a more active life and on the day, join a Lorna Jane group fitness event or host one of their own. "The idea for Active Nation Day started four years ago when I discovered statistics about the health of Australia that clearly showed we are not the healthy nation we thought we were," Clarkson says. "My thoughts were that we needed to create a day when Australians would stop and think about their health and wellness. Active Nation Day is a day when we can move as a nation and inspire those around us to do the same. In typical Lorna Jane style, what started as a small celebration in Brisbane has now grown to an international event, with women all around the world taking part and committing to being active on the last Sunday in September. 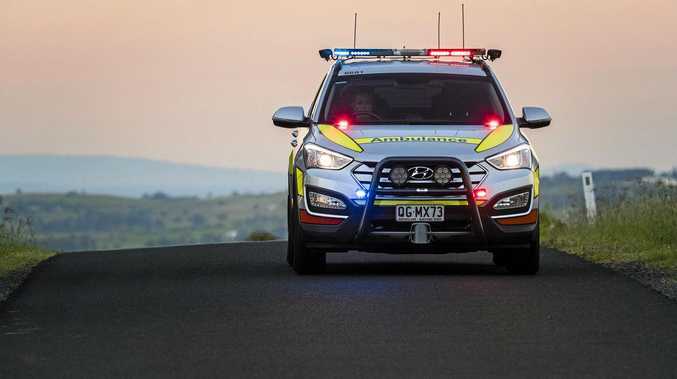 "Tomorrow large-scale events will be happening in Brisbane, Sydney and Melbourne, but we certainly haven't forgotten about women in regional areas. We'd love these women to download the free Lorna Jane app, move with a friend or group of friends, track their movements on the app and show that we can join together and celebrate being fit and healthy on Active Nation Day. Every step we take as a nation will be added to an international tally, so they can well and truly be a part of our global movement," she says. This year Clarkson is also petitioning the Federal Government not only to support Active Nation Day but to make it a regular fixture on the calendar. We are failing people battling with their weight, she says, and we have a responsibility to do more. "We need to face the reality of this situation, stop ignoring this national crisis and collectively turn this situation around - Team Lorna Jane and I are putting our hands up to lead the charge," she says. "The reason we decided to start a Federal Government petition is to put this issue in the national spotlight and also seek the support of the nation's leaders to do everything in their power to support Active Living and Active Nation Day. By signing this petition you are sending a clear message to Australia's national leaders that you want a healthier nation now and for future generations. I hope everyone gets on board and signs the petition which is at all Lorna Jane stores or online at activenationday.com.au." The Lorna Jane philosophy is more than just about supporting overweight people as they battle the scales. At its core is the premise that by helping all people fill their lives with exercise and good nutrition we will quell this obesity crisis altogether. It is also about the power of positive thinking. And Clarkson is an embodiment of that, from the positive slogans that adorn the walls of the company's head office in Brisbane to the battle cries of encouragement proclaimed on the colourful tops in her collection and in the beautiful pages of her new book, Inspired, to the boundless energy she exudes. Even her office parking spot is emblazoned with the words "Dream Maker". "Trust me, everyone can feel unmotivated and experience negativity at times," Clarkson concedes. "However, for me, the daily practice of Move, Nourish, Believe has become a habit and it truly keeps me inspired so those times when I lack motivation or feel negative are few and far between. It is really simple and involves moving your body every day, nourishing with healthy food and believing anything is possible when you're willing to work for it. "For as long as I can remember I have made a point of setting my MNB intentions every morning which involves actively thinking about my day ahead and how I can change or improve the way I move, nourish and believe. "I honestly believe by following this daily practice you will feel more positive and embrace every day with the confidence and passion to achieve just about anything!" It is a theme that is woven through Inspired, her fourth book, a guide for women - both doers and dreamers - featuring practical advice and exercises, thought-provoking quotes and some of Clarkson's favourite recipes. "So many women over the years have told me that I inspire them and my brand inspires them, so I finally decided to write a book to teach women how to live their very own inspirational and active life," she explains. "Of course, like our active wear, I also wanted it to be beautiful to look at and something women would be proud to have on their coffee table. "The book is a compilation of everything that inspires me to live my life with passion and I honestly hope it encourages other women to dream big, push fear aside and follow their dreams just like I did." Despite her success, life has not been all sunshine and roses for the lover of all things healthy. Clarkson is definitely not without her critics and has had to deal with her fair share of unhappy customers and disgruntled employees. Most recently, her company has encountered the public's wrath for what was seen as a discriminatory job advertisement and in the past fortnight people have taken to social media to offer support to a size 18 woman looking to change but unable to find Lorna Jane clothing that fitted. But the major discontent comes from social commentators who admire Clarkson's business acumen and achievement but question whether she is actually disenfranchising the very women she wants to inspire. They point to advertisements that offer up a narrow, singular definition of fit and healthy - thin, tanned and toned, generally white women - leaving no allowances, for instance, for women who may be built differently but are still fit and healthy and reinforcing a woman's looks, as her most important commodity. They also suggest that the clothes themselves, made on foreign shores where labour costs are minimal, are unjustifiably overpriced and not of the superb quality they once were. Not offering the clothes in sizes above 16, to the very women who need it most, makes little sense and detracts from the overall message of wellness. The critics may make valid points, but it is also important to acknowledge that with her Active Living philosophy and Active Nation Day, Clarkson is absolutely trying to make a difference. Even if her intentions do not present as solely altruistic, she is genuine in her desire to get people moving more, living healthier and reaching for their dreams. "People see Lorna Jane as very successful now, but rest assured there has been a lot of hard work and setbacks along the way. What got me through was remaining true to my vision, a never-give-up attitude and truly believing in myself and the power of my message." And who better to inspire you to achieve your dreams than someone who has clearly realised hers? 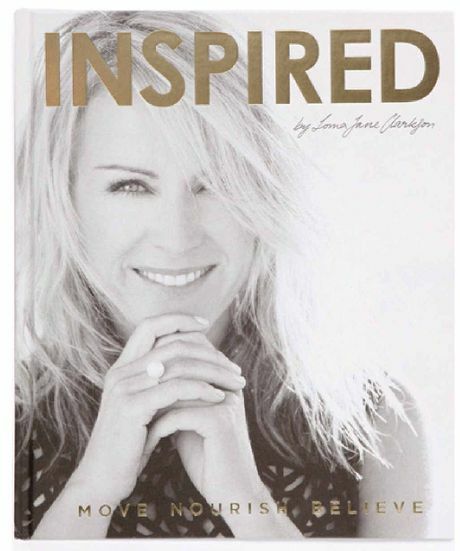 The Weekend magazine is giving away two copies of Lorna Jane Clarkson's new book, Inspired. One of Lorna's mantras is Never, Never, Never Give Up. For your chance at winning let us know the words or phrase that you find inspirational. Send your entries to weekend@apn.com.au. The judge's decision is final.